Thesis shows aren’t usually hung salon-style. At most schools, students' experiences and interests differ, so each typically gets a few feet of wall space for themselves with the hope that their work can live in harmony with its neighbors. Inexorably, contexts clash. It’s always precarious. Even Hartford’s Photography MFA program lived by that mantra for its first few years, as the program's founder and director Robert Lyons explained to me, until 13, this year’s thesis exhibition at Joseloff Gallery in Hartford Connecticut. Lyons also curated the show, although he affirmed everyone had a voice the decision. It really is quite courageous of them all. The irony of this curatorial approach and its possibility is that these correlated concepts had developed even though the students only met a few weeks of every year for intensive sessions at Hartford, New York and in Berlin. In contrast, traditional MFA photo schools, where students live and work amongst each other for years, typically do not develop such a harmonic confluence. Perhaps that’s because traditional academic environments encourage students to develop what distinguishes them from their peers. To then mix their works in an exhibit would simply be unthinkable. Enter 13. Two threads bind the works together in this curiously blended exhibition. The first is immediately evident: the majority of the photographers employ black & white photography. Only two students stuck to color: Zach Callahan and Tamara Reynolds, and Garrett Grove incorporated both, as did Emma Phillips and Ben Brody, to a lesser extent. It’s not entirely unusual for students of this program to pursue monochrome photography because the program encourages representational aesthetics, championed in large part by photographic legends of the days before color entered the scene. It’s also just a pleasing counterbalance to our day-to-day experience of imagery and a reaction to where we are within the medium at the moment. As Robert Lyons told me, so much contemporary photography, especially at MFA programs, is in a way, facing inward. Hartford, in contrast, encourages looking outward. With the United States' recent presidential election, and because we are living in this particularly betrodden economic time, in looking out, it is hard to avoid the harsh realities in the lives of common folk. That’s what prompted the second thread: a thoughtfulness about socioeconomics, even if with a generous level of subtlety. Kevin Kunstadt, for instance, took his particularly political eye to task. Callahan and Reynolds both documented figures at street level. 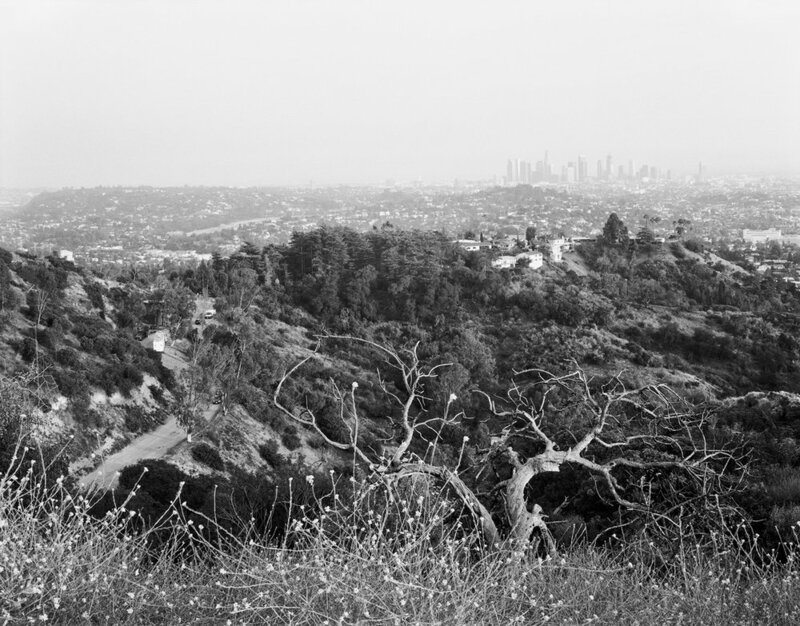 Virginia Wilcox may not have been focusing on people, but her photographs of natural scenes in Los Angeles seem to depict the city as an aging body. Matthew Genitempo’s work is a brilliant and brooding look into the lives of men looking to escape modernity by living in the Ozarks. This intermingled arrangements of photographic works shows a tired world, and it does so beautifully. A few years ago, I published a book called The United States (2003-2013) in which I took a fairly relatable approach to this exhibit, and it too was an uncommon approach. I arranged the photographs of over a hundred photographers into a sequence spanning over two hundred pages, with many layouts bringing together disparate voices, finding choral harmonies between them. The book traced a socioeconomic mindfulness and aesthetic that Hartford’s MFA program champions and so it featured a good handful of their then-current students and alumni. Robert Lyons got wind of it and I featured a conversation about the program in a small feature in the back of the book. So, perhaps I’m biased in my support of this kind of curation, but it’s hard not to love it. This kind of exhibit undoubtedly shows each students’ works in a different light than they had imagined. That’s why there is another room in which each body of work exists in a photobook they themselves have created, a vital educational aspect of the program. This inclusion allows the students’ original visions to exist within the space, alongside this curated reimagining. The wall ultimately reads differently than the layouts of their books, and allows viewers to experience these works in a multitude of ways. A visit to this exhibition will certainly not be brief. Romke Hoogwaerts is the founder of independent photobook publishing project Mossless (2009) and co-founder of Rubber Factory Posters (2016), which he manages alongside his work as an independent writer, editor and photographer.